Apple and Amazon have finally ended their courtroom bickering over the use of the "app store" name. U.S. District Judge Phyllis Hamilton agreed with the request of both companies to dismiss the case which puts a halt to a trial that was scheduled to begin on August 19th. As part of the arrangement between the two companies, Apple promised not to sue Amazon over its use of the name for the Amazon Appstore. Apple opened its applications store in July 2008, calling it the Apple App Store and the Cupertino based firm recently celebrated the store's fifth birthday. 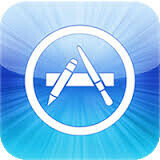 Amazon opened its Amazon Appstore for Android in March 2011, and Apple filed its complaint that same month. In its response to Apple's filing, Amazon claimed that the term app store had become generic, citing comments made by former Apple CEO Steve Jobs, who wrote about the "four app stores on Android." Current Apple CEO Tim Cook also used the term in a generic fashion when he wrote about "the number of app stores out there." Both sides claimed victory in the end with Apple spokeswomen Kristin Huguet saying that with 900,000 apps in the App Store, people know where to find their favorite app. A spokesman for Amazon said that the company is "gratified" that the case has been settled. Apple lawyer Martin Glick said that it was Apple's decision to give up the case and leave Amazon free to use the term app store. Apple backed out before the embarrassment of losing a ridiculous lawsuit. "it was Apple's decision to give up the case and leave Amazon free to use the term app store" Apple should not start this sort of law suit in the first place. Anyway in March 2011, Apple still has its godlike untouchable status. Now they know they are swimming in hot s**t just like the rest of us. ha ha and again ha ha!!! Yes but but first drop its greedy million dollar law suit against Samsung. iNtelligence prevailed at last for one case at least. It is not really 900,000 apps, Mr. Cook.